The SiriusSD® XRF X-Ray Fluorescence Silicon Drift Detectors are available with a comprehensive choice of sensor active area, tube length and collimation, and with vacuum compatibility, to ensure the right detector is always available for the job. The compact profiles allow easy integration into OEM X-ray fluorescence instruments from large laboratory systems to the smallest bench top models. 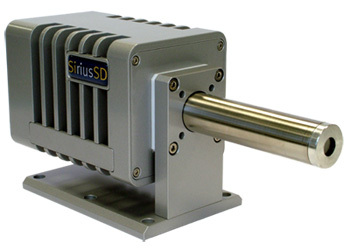 Detector outputs are customisable ensuring that SiriusSD® XRF detectors are compatible with all modern pulse processing systems. 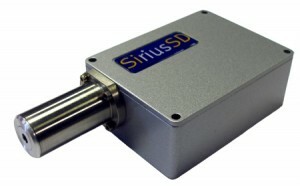 The SiriusSD® XRF is available with either traditional FET or the latest low-capacitance ASIC (CUBE) primary amplification stage which enables the detector to generate improved resolution at very short peaking times (and hence ultra-high count rates >1Mcps. RaySpec also offers the DX200 Digital Pulse Processor, which provides excellent overall system performance when paired with a SiriusSD XRF detector. The DX200 is USB controlled with spectrum transfer available via USB or real time event by event data presented directly at a 20-way parallel port. The DX200 utilises a fast 16bit 40Mhz ADC and has fast recognition circuits for excellent pile-up rejection. It is bundled with Control and Data transfer software.